If there is anything the “1940s Experiment” has taught me is that eating plenty of fresh vegetables everyday makes you feel good and fills your tummy. Even better if you grow your own, do not use pesticides or synthetic fertilizers. It’s incredibly cheap growing vegetables. Although I’ve not personally done so for a few years now, I did grow large organic gardens filled with brassica’s, beans, salads, corn, potatoes and other root vegetables. 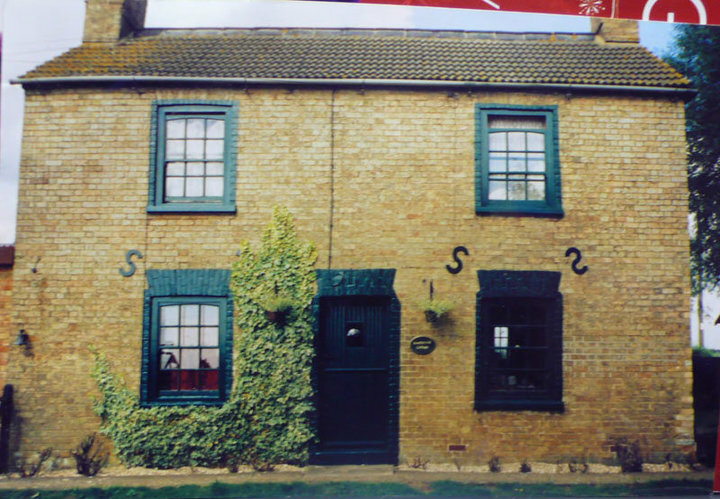 I remember the first seed I ever sowed was at the first ever house we bought 17 years ago…( a beautiful little estate cottage on the outskirts of a Fenland village in Norfolk, UK). It was a courgette (zucchini) seed.. I never knew such abundance would come from a single seed. Once the seed had germinated and its little shoot grabbed for the bright sunlight, I would be astounded how quickly it grew. It wasn’t long before the plants were bushy and the courgettes were coming through. I had sowed several seeds and therefore began to eat courgettes every day. 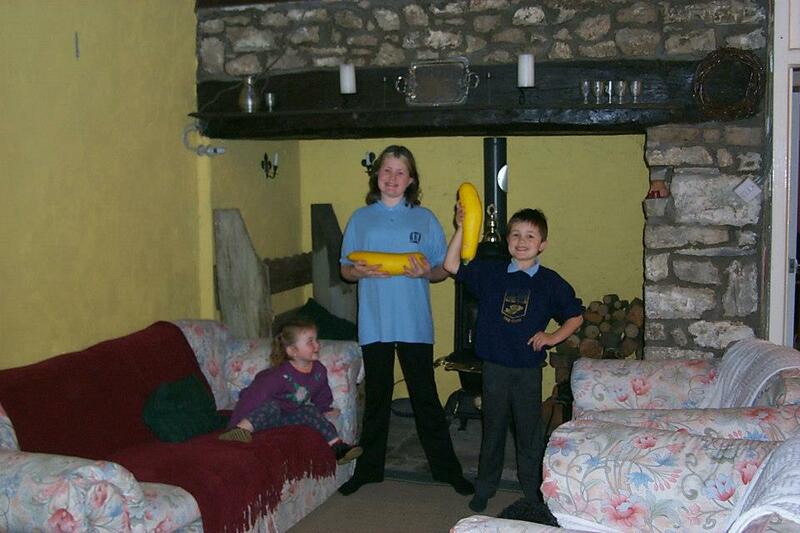 I got behind with harvesting and soon a few of the plants grew marrows over 12 inches long. We began to eat lots of vegetable curries, there was so much food..
Food poverty concerns me. Many people with young children cannot feed themselves adequately. Reliance on food banks is at an all time high. Food banks make sure those that cannot afford to eat get food in their tummies but that is rarely fresh veg (the best medicine the body can consume). What also concerns me is the reliance on the importation of food to feed a nation. The further away an economy moves away from food security and self reliance it endangers it’s inhabitants. Local agriculture is an important part of food security. Small local farms need to be re-established, allotments resurrected and gardens once again filled with food instead of flowers. Communities need to come together and make this happen. I love growing veggies as well! Haven’t been able to here, as the soil and water are too salty (well water too close to ocean), but I’m moving to an apt and I’m hoping to grow some things in containers. Good luck and I”ll keep my fingers crossed that your wait isn’t long on the list! I am happy to read your recent post. Sounds as if you are moving forward. In the US we are having a late winter so other then a few cold crops like peas and potatoes I have not been able to plant anything. I am blessed to be able to grow a large garden as well as keep bees and chickens. I am a vegan (husband eats the eggs) so veggies never goes to waste here. I look forward to working in the soil as I find it to be like medicine. I quite agree about your concerns regarding the importance of food production. I’ve now taken on another allotment, (I’m very lucky living in a fairly rural area in Northamptonshire England) I do this because the prices of food is set to rocket due to the failures in harvests last year due to the awful weather we experienced. However, if the farmers can’t grow anything I most surely won’t be able to either!!! Courgettes really are easy as you say, and runner beans dead easy too. If people don’t have much room or can’t obtain an allotment, growing in big pots can be very sucessful indeed. Hope your move back to the u.k. goes well. We’ve got a little veg plot too, Carolyn. I love being able to go into the garden for fresh stuff. These last couple of years I have been allowed by OH to have a mint bed and make everlasting mint sauce to last the year. The leeks have stood the winter well, but that’s about all we have now. We planted some carrots to grow in a pot in the greenhouse and they are all showing now, will let you know how that works, never done it before! I hope your new place will have space for some veg and herbs too, bet you can’t wait to get started. We’ve had some really disappointing summers here in the north west and since I’ve started growing my own vegetables I’ve always been rather disappointed. I think I’ll stick to fruit from now on. It’s much easier and you can be sure of a good result. Maybe my garden is too shady. I’m amazed you managed to grown anything much in your plot – it looks surrounded by trees. I love the picture of your house, especially the way the brickwork round the windows was painted to make the frames look bigger. I’ll remember that trick. Thanks for those links; they were very interesting. Wow this is so interesting reading!!!!! Joss: Yes I grew full sun loving plants in other areas of the gardens and herbs on the patio area but the veg garden at the farm had pretty good sunlight to most beds (but not full sunlight).. potatoes, peas, beans grew really well, even asparagus came through but I’ve never been able to grow onions very well (which is a shame because I use lots of those in cooking)..
PS What fruits do you grow?? I didn’t think I would be able to grow veg in my town centre concrete garden but I covered it with gravel and added 6 raised vegeatable beds filled with compost, and linked together with cheap archways which supported runner beans and planted,cabbages, potatoes, corgettes,broad beans, tomatoes and herbs in the beds…longer rooted carrots, parsnips etc in deeper pots and added fruit trees in pots(apples and plums)…not sure how they will do but seem to have survived so far and are showing some signs of life although I had convinced myself they were dead!….its is very satisfying to watch things grow from tiny seeds and definately worth trying whatever space and limitations you have!…I love that cottage it is so sweet! Welcome back to the Uk, hope you settle in quickly. Hi Carolyn, hope you are well and that your move goes okay. I am struggling to declutter and think that if I had to move it may help. We have been in our house for 28yrs. Ivthink you will be surprised when you come back to the UK. 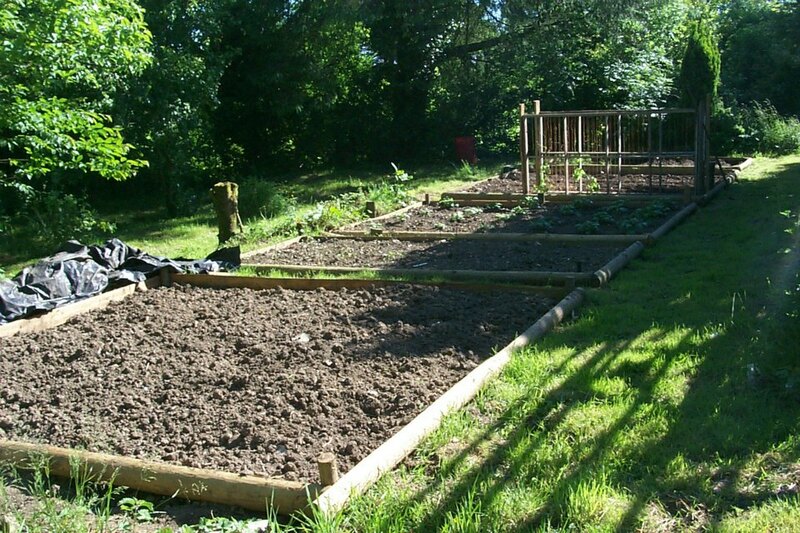 Allotments in our area are bigh on impossible to get now. Waiting lists are long again. For the most the allotments are tended well and the older are willing to help the younger. For those who are, it has brought back a bit of community feel………yaaaaaaaay! Alas though we have lots who don’t, won’t and don’t see why they should. And thats not just with regards to digging but to everything……..whatodooooooooo……..